The Coca-Cola Company wanted to increase its brand awareness among younger generations for one of its product lines, Fanta. 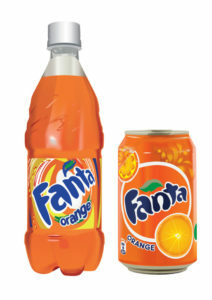 The brand Fanta has been around nearly 80 years already. The brand, as of late, has been geared toward older generations. The company even made fun of its reputation years ago with a line of commercials like the one below. But today, they are looking to reach and engage a new demographic. In order for Fanta to connect and engage with younger users, they came to us asking what they can do online to attract, engage and attract a new customer demographic. Fanta choose to use our in-content video format. Fanta used highly targeted ads to attract the right audience, at the right time, with the right message. We consistently A/B tested on various creatives to ensure that the campaign is always set up for highest level of success. We choose to start our campaign by targeting a specific city and age frame and changing the times of the ad delivery.